Sasakawa USA and the Genron NPO hosted a forum discussion on the differing approaches taken by the United States and Japan to promoting democracy around the world, and the potential to leverage the work of both countries through cooperative projects and programs. 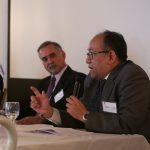 Sasakawa USA hosted a luncheon book launch and discussion on the differing approaches taken by the United States and Japan to promoting democracy around the world, and the potential to leverage the work of both countries through cooperative projects and programs. 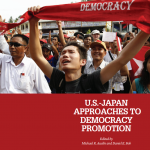 Sasakawa USA is proud to publish a new book that recommends practical ways in which the United States and Japan can support democratic development in countries that are emerging from autocratic regimes and those that have achieved a measure of democracy, but are in danger of regressing. 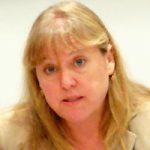 Myanmar is in the midst of significant socio-political and economic change, and in 2015 will hold national elections, which could lead to greater democratic evolution.